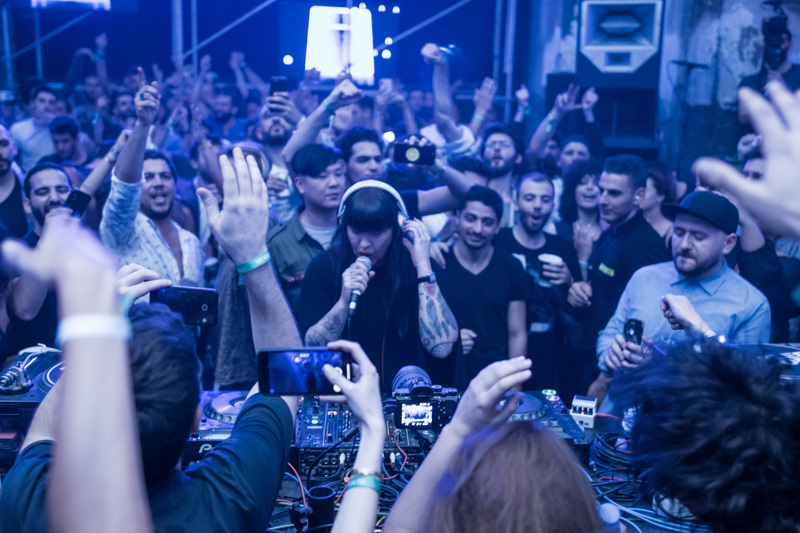 When DJ Mag first mentions to our nearest and dearest that we’re headed off to Beirut, the majority of responses are that of concern. Lebanon has had a rocky history, with civil war, political assassinations, and conflict with Israel dominating headlines in the UK for much of the last 40 years. Most recently, the catastrophic war in neighbouring Syria has threatened to disturb the peace once again. Yet it’s during times of strife that people band together, and creative voices strengthen in resistance. These scenes often go unreported by the mainstream media, even when the fighting is done and they still remain, helping build a better future. We’re here for the latest in Boiler Room and Ballantine’s True Music: Hybrid Sounds project — a globe-trotting event series that also pairs a visiting artist with a local to produce an EP of collaborations. It’s a concept that aims to build bridges and change perceptions, something Beirut itself is undertaking on a huge scale. The skyline is littered with towering cranes, as new structures rise from the rubble of the old, the overall architecture of the place a strange patchwork of flat-topped tower-blocks and traditional Arabesque buildings, many of which are simply facades, hollowed out by bombing. Our first real taste of this comes at our first stop: StereoKitchen, a rooftop bar with near panoramic views, where local act Tala, cheeks daubed with tribal stripes, eases us into the trip with a laidback house selection. Beirut’s venue owners have a penchant for original and intriguing designs and locations. Take B018, known locally as ‘the bunker’, perhaps the city’s most famous club. Built in La Quarantaine (or Karantina) district, the club occupies a site of solemn significance: in 1976, during the Lebanese Civil War, over 1,000 civilians were massacred there by right wing militias. “The bunker is actually the wrong interpretation; they call it the bunker, but it was actually a tomb, because so many people were buried there during the civil war,” says former resident DJ and head of entertainment at the club, 3LIAS (pronounced Elias), explaining how the roof is situated at ground-level to open like a tomb, and the huge slab tables were designed to look like coffins. Elsewhere, there’s The Grand Factory — no prizes for guessing where that one’s based — and Reunion, a smaller space attached via a tunnel specifically designed to cancel out bleed from the main room, and introduce sound slowly, replicating the anticipation of waiting in the queue outside and hearing the bass boom through the walls. “It has one of the best soundsystems that I’ve heard, and I’ve been all over the place, Flash [in Washington DC] or Robert Johnson in Frankfurt,” says 3LIAS. “The guy who did the sound, we used to study together in Glasgow… he did a PhD in acoustics and electroacoustics, and it’s just mind-blowing, it’s just a small tiny room of 200 people.” The system is question is a Stage Accompany set mined from Strangefruit club, some of which was made as far back as 1986. “This is how good it was,” exclaims 3LIAS, “and it’s analogue, so it’s very deep and profound. 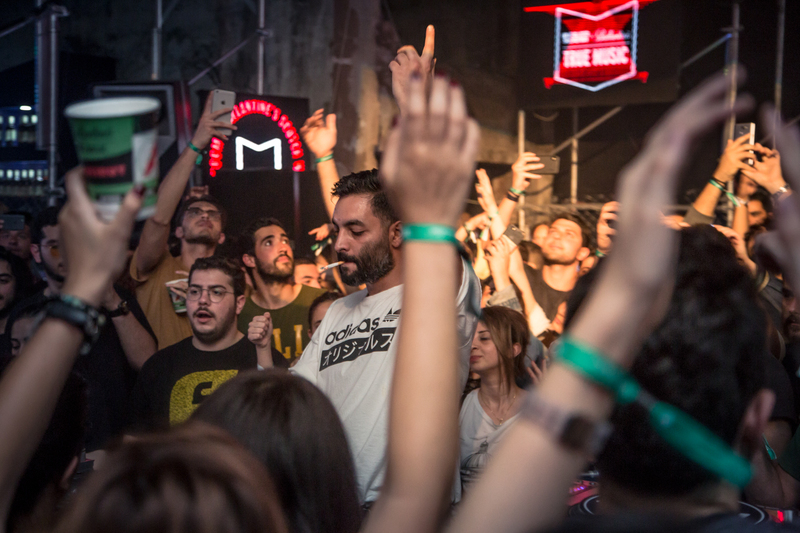 So if not lacking in places to party, what are the challenges the Beirut club scene faces? Jad Taleb, another local DJ, who also focuses on sound design, believes diversity and openness are the key sticking points at the moment, both musically and socially. He’s positive overall, however, naming a long list of local acts to look out for, including Nesta (who runs the Fantôme de Nuit label), The Grand Factory promoter Jade, and Rolbac, a young producer who’s released on Einmusika and is helping others in the area to learn the craft. Jad has a similar take, explaining how Beirut’s turbulent past and “post-war deliverance” has and will be “a key element in shaping the current and future situation”. “We’re not gonna wait. We’re gonna do, and enjoy meanwhile,” says 3LIAS. “I lived through the civil war; for 10 years I heard people screaming in the streets, snipers killing people, bombs dropping — three on my apartment, three! You would never really imagine it because you have to live it, but for me, it’s like there are other things that are way worse than just getting bombed, like losing someone from your family, or someone getting sick that’s close. 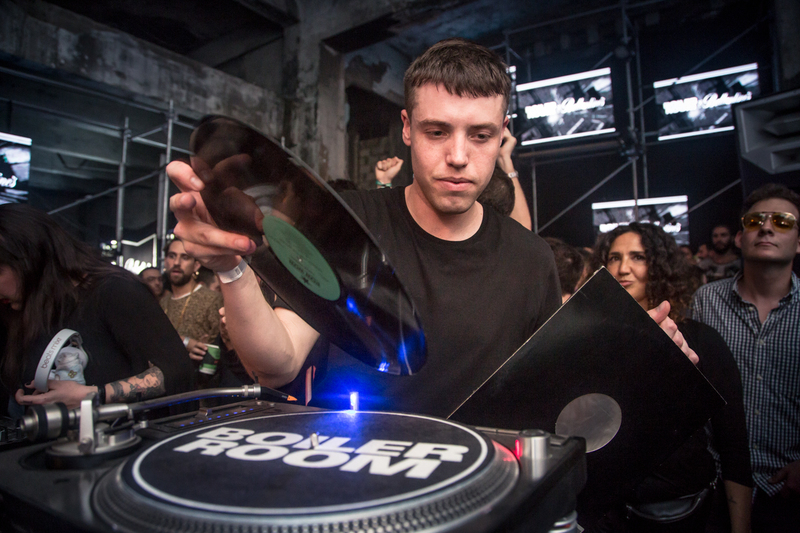 Boiler Room x Ballantine's True Music: Hybrid Sounds is a celebration of the intersection of electronic and acoustic music, which has so far featured artists including Overmono, Dollkraut and rRoxymore. The final event of the tour takes place in Valencia on 26th July.